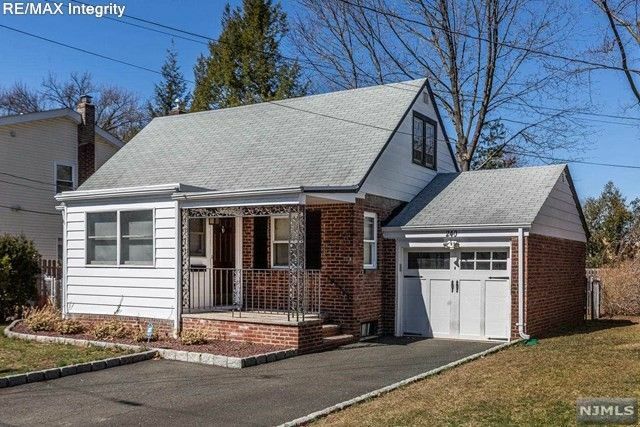 Well cared for 3 bedroom brick cape on Cresskill border! Sunny southern exposure! Low taxes approximately $8, 330. Enclosed porch, living room, updated eat in kitchen, 2 bedrooms, updated bath. Upstairs 3rd bedroom & office/study area. Full semi finished basement with new hardwood floor! One car attached garage w/auto garage door opener, double wide driveway with Belgium block trim, fenced yard, gas heat, central air conditioning, walk to school & NY bus transportation.